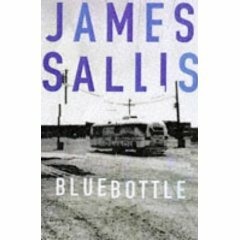 James Sallis is a master of the short, sharp crime novel in which every word counts. 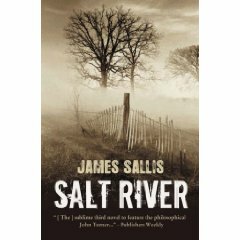 He’s also known for the philosophical bent of his protagonists, from New Orleans-based sometime-PI Lew Griffin to John Turner, ex-cop, ex-con, ex-therapist, Vietnam vet and hero of Sallis’ latest book, Salt River. 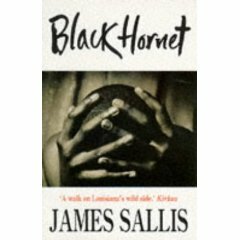 Sallis has written an acclaimed biography of crime writer Chester Himes and published translations, poetry, books on music…The list goes on. 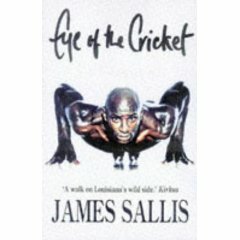 Sallis took some time out to speak to SHOTS about Salt River and his career to date. Damien: How would you pitch Salt River to readers unfamiliar with your work? James: It’s very short and doesn’t require a great investment of your time. Damien: Salt River is quite a melancholy book. Would you agree? What, if anything, are you trying to say about the world in its pages? James: Everything – and in less than 30,000 words. Ambition knows no bounds. But to get serious: It is, if you peel back the surface, actually quite a hopeful novel. Damien: You didn’t see Lew Griffin as a series character but you wound up revisiting him in six novels. You didn’t see Cypress Grove as the beginning of a series, but here we are now on the third book featuring Turner as protagonist. Are there any more Turner novels in the pipeline? James: No, that’s it. We should leave the poor man in peace. Damien: What was it that made you expand on your first Lew Griffin and Turner novels? Financial pressures or something more? James: My interest in these characters – realizing that there were still things about them, things around them, that I didn’t know. Damien: Turner is full of observations and philosophical nuggets on human nature. How much of what he thinks and says comes directly from you? James: Literally, of course, all of it. But the joy of writing in character is the ability to inhabit, at least briefly and fitfully, another mind. Damien: Many readers see a philosophical or intellectual aspect to your work that is unusual in crime fiction. Is that a fair assessment? James: Probably so, and I think much of that derives from my background in science fiction and the European novel. Damien: You write without any sort of detailed plan yet your fiction is typically terse and efficient. How much longer do you spend on revisions than on first drafts? James: It’s all largely one process for me: I revise endlessly as I go along. When I finish the last page, the novel, save for last-minute tweaking, is done. Damien: Is there an average time it takes you to write a book, or does it vary? Can you give me some insight into your writing routine? Do you write a certain amount of words or for a certain amount of time each day, for example? Do you divide your time between writing and editing? James: For many years, my books were written in six months: I set that deadline in my contracts. Now that I’m teaching, playing music, and host to a dozen further distractions, the books take longer. Drive, however, was written in a month, during a period when I was recovering from surgery. Salt Creek, which is close to the same length, took over two years. I kept writing, cutting – then going off to other pursuits. I’ve no set schedule or expectations. I work every day, sometimes for an hour or two, sometimes for hours without coming up for air. I have instruments all within reach, and will grab a banjo or fiddle, play a while, then get back to the computer. Two days a week are given over to reading student work and prepping for classes. Then there are the emails from readers to be answered, contracts and proofs to be read, reviews to be written, European trips, interviews such as this one – what a hard life! Damien: Has teaching creative writing changed the way you write? James: I don’t think so. What I teach is a reconstructed version of the way I write: Concision, specificity, an emphasis on the scene, packing as much weight as possible onto each word, phrase and sentence, yet keeping a light touch. Damien: ‘An American writing European novels.’ You agree with this assessment of your work? In your crime writing do you see yourself as part of a literary tradition or an exception to it? James: That seems fair, and flattering. And yes, I see myself as part of a tradition – in fact, as part of several traditions, which may be, at its heart, what my writing is all about. Damien: From writing sci-fi/fantastic literature in the sixties to crime literature today – how much of this arc was deliberate? What drew you to the genre we typically describe as ‘crime’? James: Extremes. That is what most interests me, I think: People in extreme circumstances, characters catapulted into worlds they do not understand. When I began writing, science fiction harboured the most interesting, innovative writing; with the field’s swing to a more conservative bias, I found my way to crime fiction, which I felt at the time was carrying on the torch. But remember that, simultaneously, I was publishing widely in literary journals: poetry, fiction, criticism, essays. Damien: Do you still feel crime fiction is carrying the torch of interesting, innovative writing? Are there any emerging talents in the genre you find particularly exciting? James: Absolutely – one of the torches, anyway. Look at George Pelecanos, Cormac McCarthy, Jonathan Lethem, Daniel Woodrell, _____. (The blank is left for the reader to insert his or her favoured name.) 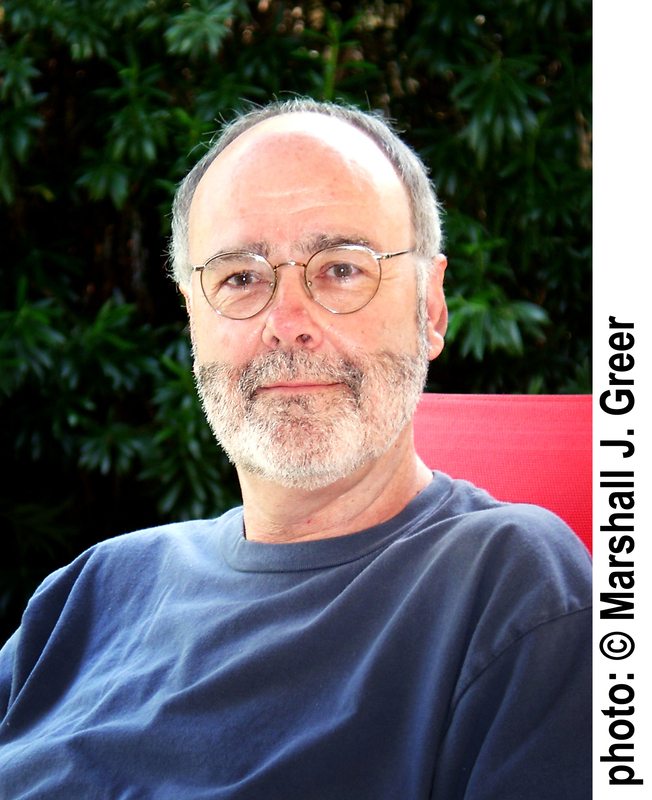 At the moment I’m reading the manuscript of a first novel by Keith Gilman, Father’s Day, that I think wonderful. But there are people like Kelly Link in fantasy, or Jeffrey Ford, Tim Powers – writers doing amazing new work. It’s everywhere, it’s the air we breathe. Damien: Is it true that Michael Moorcock introduced you to American hardboiled literature? That you weren’t familiar with this tradition until coming to London in the 1960s? James: I knew of it, naturally, but I’d not read Chandler, Hammett. This sort of writing, like science fiction, was not discussed in university at the time; its influence upon American fiction went unremarked. Damien: You’re still friends with Moorcock today. How much has he influenced your work? James: His courage, his intelligence, his catholic tastes, his enthusiasm – profound influences. Mike threw his arms wide to invite in every kind of literature, every kind of writer and writing. What an amazing lesson that was for me, a fledgling, hopelessly callow writer. Damien: You speak Spanish, French and Russian so well that you have translated books into English from all three languages. What sort of impact has this had on your fiction writing? James: I don’t speak any of those languages. I have studied Spanish and Russian, but most of what I had of them are gone by now. I do read French – my admiration of French literature being another thing I picked up in London. Damien: So am I right to think you've translated works from Spanish and Russian? If so, how did you go about that? James: I’ve translated both from Spanish and Russian, mostly during the time I was formally studying these languages. Working with language in this manner – mostly with poems – gives me a feeling for the language, an intuition into the language, that I can find nowhere else. As you know, I’ve translated far more from French: many poems, a few short stories, Raymond Queneau’s novel Saint Glinglin. Damien: How has reading French shaped or influenced your work? James: It’s given me a far greater awareness of language. Writing is all about choices, about possibilities; and in translating, we’re constantly reminded of how many different ways a thing might be said, constantly considering the weight a small choice – an adjective, a verb, even an article – can carry with it. We also may become more attuned to the rhythms of language, to the roll and momentum of phrases, the ways in which ideas move across the page. Quite aside from that, the work of such as Blaise Cendrars, Boris Vian, Queneau, Camus and Jean-Patrick Manchette has become an integral part – right along with science fiction films from the Fifties, Faulkner, Theodore Sturgeon, Hammett and Chandler, Donald Harington -- of how I see and how I experience the world. Damien: You’ve described writing as like trying to capture on the page a form you can see in the corner of your eye. How close do you get on the page to the original idea or ideas you were trying to capture? James: A little closer each time, perhaps – which is all we can hope for. Damien: Lew Griffin is perhaps your most celebrated character to date. One that happens to be black. Many people would see a white man trying to write from an African-American perspective as bold, even controversial. Did you ever doubt that you could pull it off? And have you ever received criticism for the attempt? James: Interestingly, I’ve received far more acceptance than criticism. My stock answer is that, were I to be allowed to write only about a white, middle-aged man, I would myself be bored – far more, the reader. What we do as writers is try to cross that bridge, to climb out of the cell of our minds and momentarily to look out upon another’s world. Damien: You’ve been a writer for a long time and published poetry, sci-fi stories, biographies, translations, books on music…With such a broad publishing history, what advice would you offer to writers just starting out today? What’s changed in the industry? Is spreading your talents the way you did a good way of spreading the risk or of responding to market demand? Or was your career more personal than that? 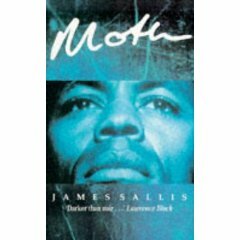 James: As with much of life, in retrospect it may seem that I chose to write science fiction, that I then chose, after careful consideration, to deflect to crime fiction, and so on. But that is illusion. I followed my interests where they took me. Recognizing what I could not do, I concentrated my efforts on doing, to best effect, what I could. Never expecting that it would prove so long and marvellous a ride.